This article was published in My Republica. 87 bighas of land in Daulatpur village. This article was sent out on the Maoist Revolution e-list. 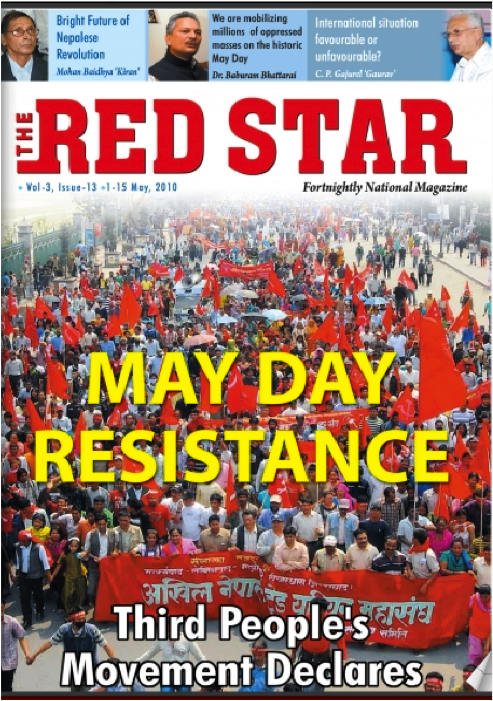 On the eve of May Day, the Revolutionary Communist Party, USA (RCP) published an article entitled “On the Critical Crossroads in the Nepal Revolution, and the Urgent Need for a Real Rupture with Revisionism” in its organ Revolution (www.revcom.us). This article aimed to refute a document published by the Central Committee of the Unified Communist Party of Nepal (Maoist), UCPN(M), found on (www.wprmbritain.org). The RCP letter is subtitled, “Observations by a Supporter of that Revolution from a Communist Internationalist Perspective”. However, because Revolution has published it without any comment or criticism, it is fair to assume that it represents the RCP’s position on the revolution in Nepal. 1) A Short Evaluation of Present Situation [Internationally and in Nepal]. 2) On the Party Line and Polarization of Revolutionary Communists. 3) From the Latest Peace Process to the Present: on Party’s Problems and Weaknesses. 4) A Rough Sketch of Immediate Plan. In this article, we want to oppose the anti-revolutionary RCP line and show the importance of building support for the revolution in Nepal. We will look at the RCP’s thesis of ‘revolutionary movement under revisionist leadership’ as well as looking at the realities of the development of the revolution in Nepal. This article was published in Monthly Review. 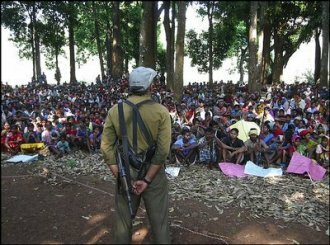 In this wide-ranging interview, Gopalji discusses many important issues including: The development of Revolutionary People’s Committees and the Maoists’ efforts to establish fully liberated base areas; the agriculture, education and health projects the Maoists have built; how they conduct military operations to avoid harm to local people; Operation Green Hunt and moves towards a fascist police state; the challenge of developing the revolutionary movement in the plains and among the working class and petty bourgeoisie in the cities; how the Maoists plan to defeat the powerful Indian military and state; and what a New Democratic state would look like in India. Communism in the rest of the world seems to have collapsed. What hope do you have of achieving a socialist state in India? The claim that there is no hope for socialism and communism, that they are dead, is mere propaganda unleashed by the imperialists and the apologists of capitalism. The 20th century saw the first round of revolutions led by the working classes and the toiling masses of the communist parties in various parts of the world — the Russian Revolution, the Chinese Revolution, the Revolution in Vietnam and many more. The 21st century will see a new wave of revolutions led by communist parties such as ours in India. This article was published on Revolutionary Frontlines. 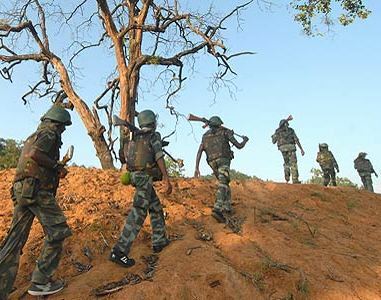 All over the world, people are asking questions about the nature of India’s society and government, and about the war on the adivasis-the tribal peoples-that has recently been launched by that government with strategic assistance from the US and Israel. This article was posted on MRZine. Thanks to J for pointing it out. Katmandou, 11 mai — La plus grande mobilisation d’êtres humains dans l’histoire du Népal a amené des centaines de milliers de villageois dans la capitale Katmandou pour les manifestations du premier mai – et le pays tout entier s’est arrêté. Le premier mai, cette ville a appartenu aux maoïstes. De Kalanki au Old Bus Park, les autobus bondés se sont déversés dans la ville. Chaque siège et espace était remplis. Les jeunes hommes étaient perchés sur les toits. Des sacs de riz, de lentilles et de légumes étaient stockés dans les écoles, les salles des fêtes et les chantiers de construction qui ont servi de campements aux manifestants. Depuis que je suis arrivé à Katmandou, c’a été une chose remarquable de voir le marteau et la faucille flotter si fièrement à travers la ville. Mais le premier mai, voyant les milliers d’ouvriers des syndicats marcher à travers la ville pour accueillir les villageois, dont nombre d’entre eux voyaient une ville pour la première fois – tout cela a rempli de chair et de sang le vieux symbole communiste. Le marteau pour les ouvriers, la faucille pour les paysans. This article is from Red Star, the English-language Maoist periodical from Nepal. 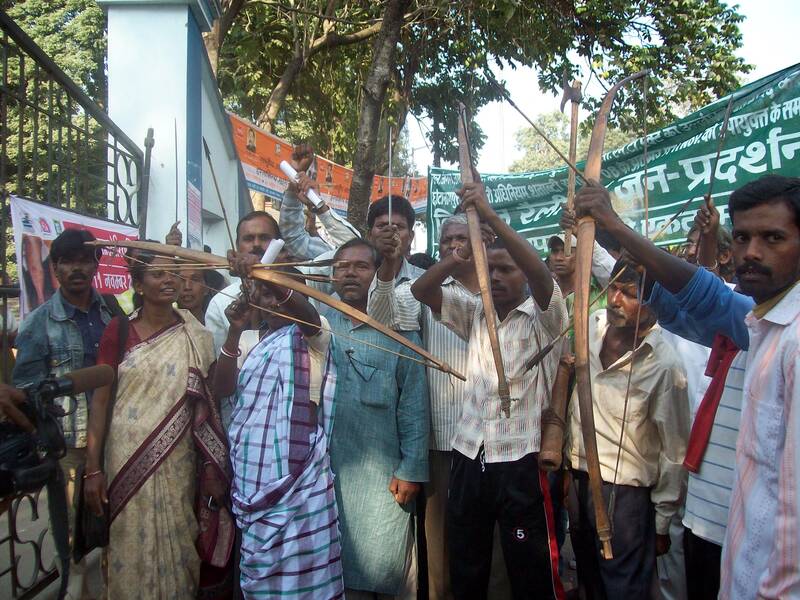 This is an important analysis of the progress of the revolution and what the Maoists are fighting for. Thanks to Alastair, Alistair and ST for the work in making the Red Star essays available. 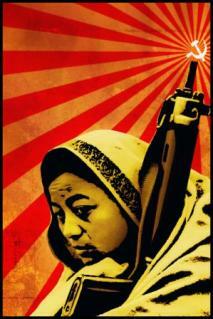 Nepalese Revolution is a victorious but incomplete revolution. The responsibility for completion of the revolution has fallen upon the shoulders of UCPN-Maoist. The gradual development of the favourable situation for the completion of the revolution has made the historic task more responsible. It has been main duty, the duty that is rarely found as an extraordinary task of proletarian class, to fulfill the revolution confidently without hesitation. Every revolution has its meaning that it teaches an interesting and valuable lesson to all the people in a short period with unexpected Zigzag way it takes ahead and its radical consequences. People’s War was an accidental zigzag to break the parliamentary tedious scandal. Initiation of the People’s War unmasked the parliamentary uncontrolled loots and dishonesty, which was forcefully imposed over the labourious people with the help of charismatic words like ‘democracy’, ‘development’, ‘competition’ and ‘wellbeing’ of the people, ‘Peace’ etc. PW had exposed all the misdeeds that created an environment to exploit the people under clamour spread by the preachers of parliamentarianism. This article is from Red Star, the English-language Maoist periodical from Nepal. This is an important analysis of the revolution’s current state and future possibilities. Thanks to Alastair, Alistair and ST for the work in making the Red Star essays available. 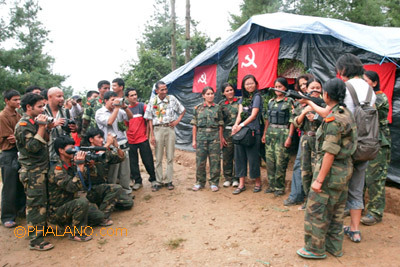 People’s War (PW) was initiated by UCPN-Maoist on 13th February 1996. It has celebrated its 14th anniversary. PW had launched aiming to lead the struggle to the direction of communism through socialism with the process of establishing people’s Democratic Republic of Nepal. That is to say by liberating the country from semi-feudal and semi-colonial situation. To achieve these ultimate goals, the outline of PW was made in the sense of military strategic plan for the development of PW by building base areas in the remote areas. According to it, PW was developed and empowered. It took its rupture and entered into strategic offensive by completing its earlier two phases: strategic offensive and strategic equilibrium. In this process, the tactical series: interim government, democratic republic and Constituent Assembly (CA) were officially decided by the party. In course of PW, we came into the peace process since after a few time the people’s war had entered into the strategic offensive. In the ideological struggle of peace process, interim government was made and democratic republic of Nepal was declared. And, at the same time, monarchy was suspended. The interim government declared the election of the CA and our party get victory as the largest party in CA. Then, united government was formed under the leadership of our party. In the process of great PW, thousands brave warriors got martyrdom. Thousands of others became wounded and thousands are missing. The strategic achievement left to be gained in spite of the historic and unprecedented dedication, devotion and sacrifice of the thousands. Therefore, serious questions are being raised. 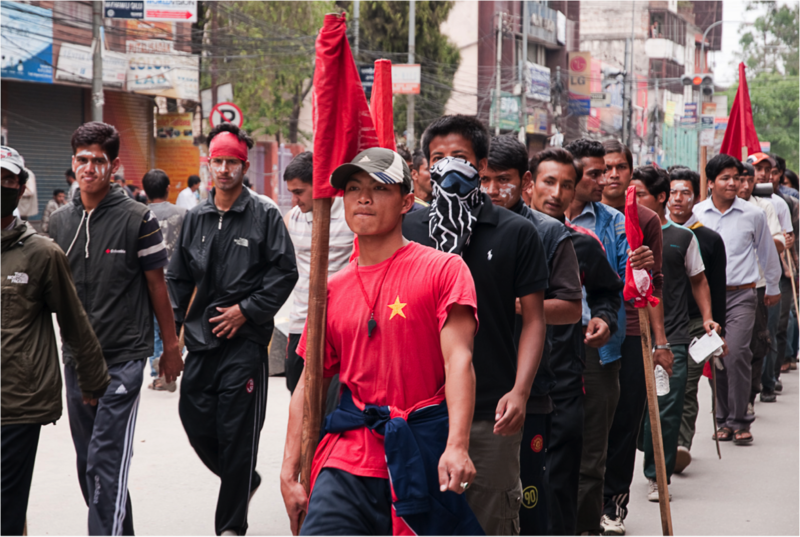 Nepal’s Red Star: Is International Situation Favorable to Revolution? The following is from the new issue of Nepal’s Maoist English language journal Red Star. 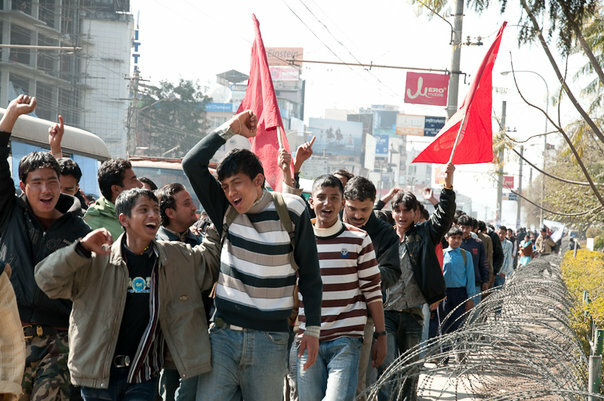 At various stages in the Nepal revolution, the argument has been made that the international situation was too hostile to successfully embark on socialist revolution in a small, poor, landlocked country — requiring a long “transition” sub-period that did not cross the threshhold toward socialism or even New Democracy. In other words, the question of “is the international situation favorable?” is connected with a debate among Nepali revolutionaries about whether to press forward the Nepal revolution to victory. (Thanks to Alastar and ST for making these essay of Red Star available for posting). The following article is from MYREPUBLICA.com. (Props to the Marxist Leninist). KATHMANDU, May 8: A day after the Unified Communist Party of Nepal-Maoist (UCPN-M) called off its six-day general strike, the party´s chairman, Pushpa Kamal Dahal [Prachanda], said the ball is now in the court of the ruling parties and his party would watch their move and take its decisions accordingly. “We will not negotiate with the ruling parties out of submission. We will see how you (ruling parties) react to the nation and the people, and make the next move accordingly. 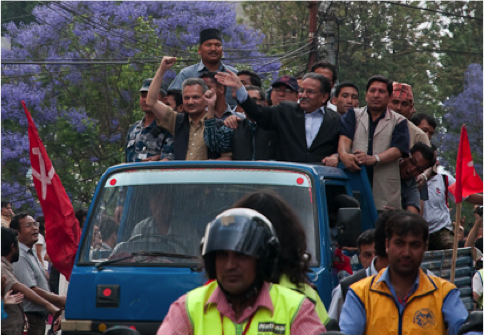 Now the ball is in the ruling parties´ court,” Dahal said while addressing a rally at the Khulamunch, Saturday. This is from the new issue of Nepal’s Maoist English journal Red Star. 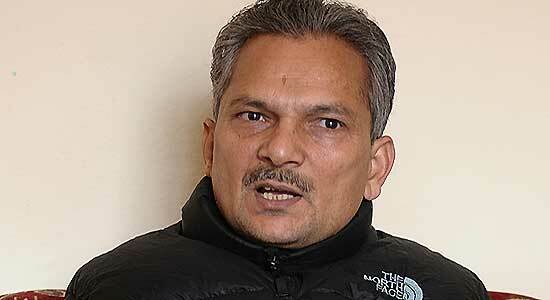 Dr Baburam Bhattarai is Vice Chairman of Unified Communist Party of Nepal-Maoist. The interview was conducted shortly before May First. How are you analyzing the current political situation of the country? 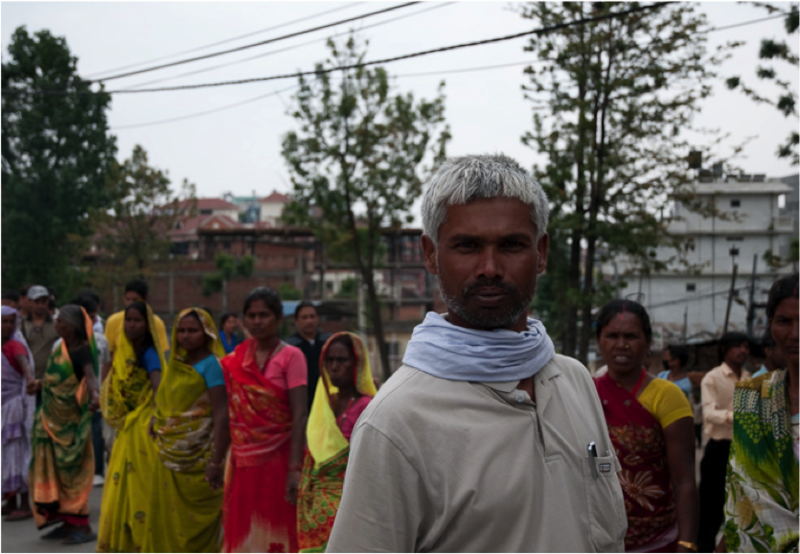 Nepal is passing through historical transition from feudalism to capitalism. Last sixty years people’s movement as being victorious directed towards abolishing of semi feudal and semi colonial structure and replacing it with a new democratic structure social state system oriented toward socialism. The Maoists have withdrawn their indefinite strike following intense international pressure, on the evening that Nepal’s professional organisations and businesses staged a mammoth peace rally in Kathmandu and as resistance spread across the country. 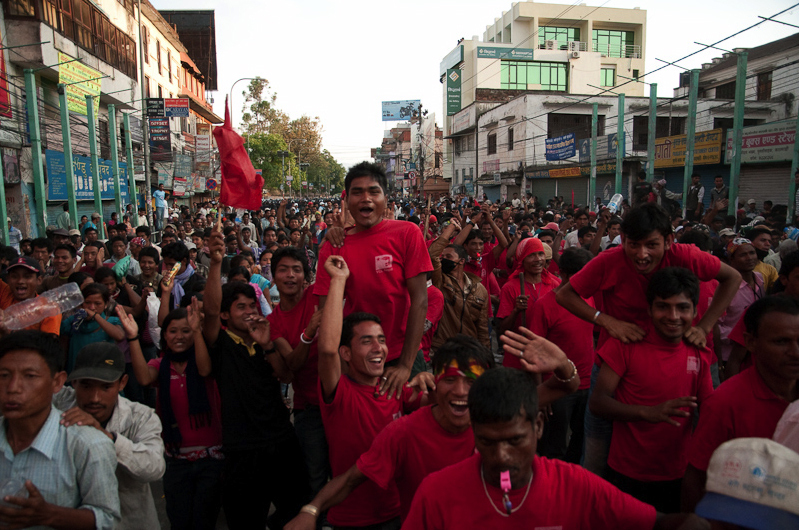 In short: The news is rapidly spreading in Kathamandu, Nepal: The general strike has been called off. The conditions and reasons are not known yet — to the people gathered in the capital, or to us watching from afar. Announcements of the strike’s end appeared on Nepali TV. The bandh (shutdown) had been enforced by the large numbers of pro-Maoist activists that had gathered in the capital since May First. Its main demand had been the resignation of the current unpopular and unelected government. It is not known yet what this means for the mass movement in the streets. Or for the current government whose resignation was the central demand of the strike. We will post new information as we know it. Watch this space. We received this French translation of an interview conducted in English with Bhupan Paudel, a young member of the Unified Communist Party of Nepal (Maoist). Alastair Reith a interviewé récemment Bhupan Paudel, qui est membre de le parti communiste unifié du Népal (maoiste). Bhuban lutte pour la liberté de son peuple, de sa nation, et de la classe ouvrière internationale, et s’est engagé à fond dans les dernières manifestations de masses qui ont ébranlé le Népal. Il a pris le temps de donner une brève interview au blog « South Asia Révolution » au sujet de la révolution qui se développe en ce moment au Népal et du parti maoïste qui la conduit. Voici une voix originale de la première révolution communiste du 21ème siècle qui nous en parle en ses propres termes. Merci d’avaoir accepté cet interview, Bhuban. Commençons par le commencement : qu’est ce-que le parti communiste unifié du Népal (maoiste)?